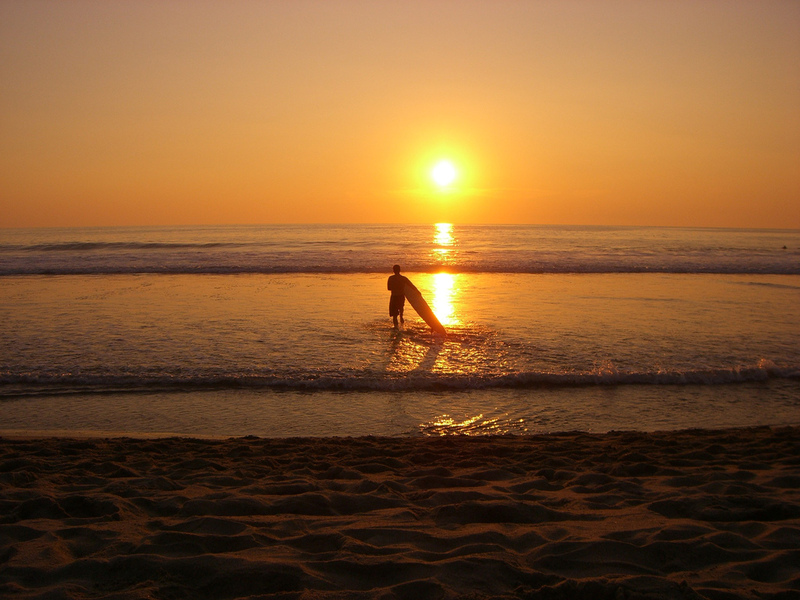 The surf spots in Mexico are great & every surfer should have the privilege of doing a surf trip to this wonderful country. It has approximately 5750 miles of exotic white sandy shores that are easily accessible. With relaxants white exotic seashores in the Yucatan Peninsula, the roaring of the waves at Playa Zicatela in Puerto Escondido, black volcanic rock coast, from Mexico tends to be different as the visitors themselves. 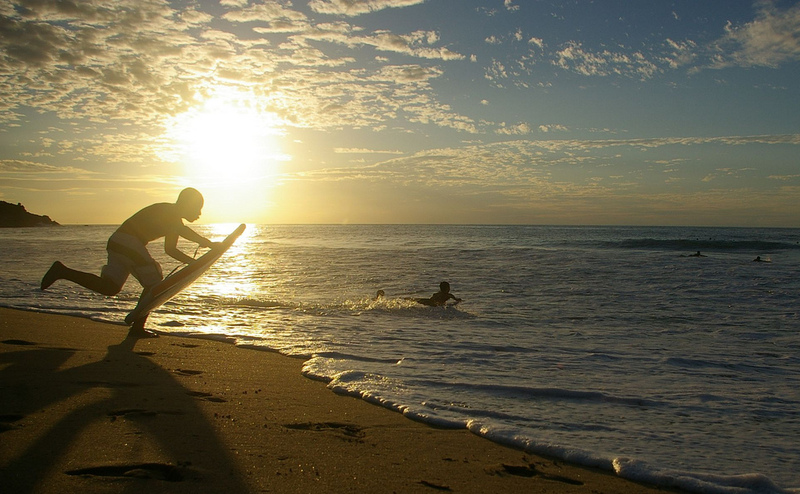 The climate in Mexico also makes an ideal place for surfing all year round, but better quality waves tend to appear from June to September. This spot also call the Mexican Pipeline, and can ensure this surf spot Zicatela has nothing to envy your Hawaiian friend. Driven by the powerful swell from the south swells and works all summer. Being a swell coming from distant storms contains a lot of energy, so we need a good wave board. Both the left and right open and it is not surprising to see out more than one rider with a broken board. Some of localism on the spot, so if you come from outside, it is essential to respect the local riders. In contrast to the spot Puerto Escondido, this sandy beach is perfect barrels forming peaks from south swells. The days of over 20 feet in size can be observed even tugboats which facilitate catch the waves to more advanced riders. The normal is that waves of 8-10 feet fair form from May to October. Not a spot for novice surfers, since a good fall is almost synonymous with a broken table. If we move northward from Cape tip of Baja for about an hour, we leave the resort town where after surfing is what we’ll be by drinking margaritas. These 70 kilometers and affect the temperature of the air and the ocean, but the big advantage is that we will have a much less crowded spot where a lot of waves ahead. In Winter swells tend to come from the north. The waves will not be as perfect as in the previous spots, but certainly, we can enjoy good quality waves quite exclusive. Todos is the sister Mavericks wave in Mexico – many of the surfers when they get there they are amazed, and only a few dare to surf this great wave. The wave breaks over a rocky reef below the point of Todos Santos Island, so it is a wave for experienced surfers only a drop in it can endanger our lives. Zippers is located near Cabo San Lucas, it’s a wave that only runs from April to September, it is easy and accessible to all levels and that input is soft and as the wave opens to the right the paret grows ending up with a good aerial! The only downside is that due to its proximity to tourist attractions, easily visible from the road and have a large car park is very popular and it is somewhat crowded. It is the wave that is nearest to the U.S. border is not possible to access it through their acatilados as they are owned by a private company, so the only way to access it is by boat. 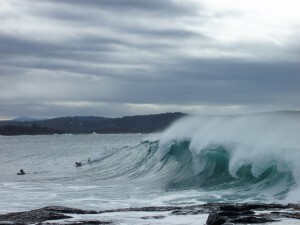 It has a powerful and long period swell in winter with a swell from the west. works well at low tide is when the tide is made hollow, fast and powerful. Despite difficult access not think we’ll be surfing alone because Salsipuedes is quite popular with surfers. The town gives its name to a wave that breaks from a rocky point offering fast right. If we are to surfing spots this is good to tell us before that dominate the local spot and know when is the right time to catch the wave, starting from here we can only wait for our turn to enjoy. The wave of this spot is located at the mouth of River Nexpa. It works well when we have a good south swell. In this spot the wave breaks over Rocky point, the wave begins abnormally slow and then accelerates as it progresses. The lip is thrown over the head and literally there is not much you can do to avoid being held at gunpoint. The place would be exceptionally full except for a local coalition that works to protect the site from tourist crowd surf. To surf this spot you will have to hire a local surf guide joined the coalition. The waves are accessible for all levels. About an hour north of Zihuatanejo is the old fishing village of Troncones. The spot, which juts out into the Bay of Manzanillo south swell attracts like no other. The waves work best when it is in the summer season. Although occasionally huge waves break with a powerful south swell, this place is generally a little more accessible because it has soft sections to boot. It is difficult to access because you have to make a long journey to the spot hampered by some rocks. Right across the Gulf of California is the ancient port city of Mazatlan. North of the many spots and bays. If Low was not blocking winter swells from the north, this area functions throughout the year. Instead, wait for the summer to explore and find a jeep left unknown for any Goofy surfer to enjoy. March to October where the swell energy comes from the southern hemisphere. November to April where the water is very hot, with typically smaller waves, but with perfect offshore winds and dry conditions. According to the list of countries by Human Development Index included in the Human Development Report 2013 of the United Nations Program for Development (UNDP), Mexico is besieged within countries with high human development index at 61. Mexicans are very hospitable on the Baja Peninsula. Best airport to fly in is the national airport of Puerto Escondido operates with Aeromexico and Aerocaribe airlines. It is located at km 6.5 of the Coastal Highway 200. If you do not have your own vehicle, the trucking center of Puerto Escondido Oaxaca receives transport of the Isthmus, and Christopher Columbus White Star Lines, is located on Hidalgo Avenue and 1st Street East. If we decide to get on our own Puerto Escondido is communicated to the north by the city of Oaxaca, the federal highway. 135 to 249 miles away, on the east connects to Huatulco by highway 200, 119 km, and with the port of Acapulco, Guerrero, by the federal highway. 200, 402 miles away.